Monocle and London Undercover have partnered to create an ideal form of an often-overlooked accessory: the umbrella. Handcrafted, the dark green exterior features a contrasting red underside, a solid-piece continuous maple shaft and a bronze ferrule. A umbrella of this quality not only completes an outfit on a rainy day, but also works to preserve ones fine suiting in inclimate weather. 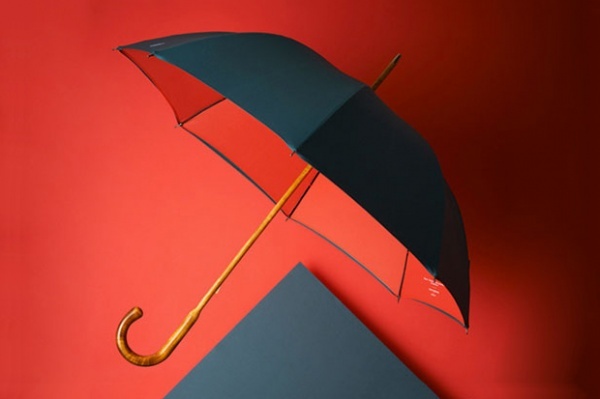 The collaborative umbrella is currently available for pre-order online at the Monocle Shop for £190 GBP (approximately $302 USD) and will ship out on November 15. This entry was posted in Accessories and tagged Collaboration, London Undercover, Monocle, Umbrella. Bookmark the permalink.